Enter President Donald Trump, who on Wednesday is poised to issue an executive order to promote projects such as the long-stalled Constitution Pipeline, according to people familiar with the matter who asked for anonymity to discuss it before a formal announcement. The move seeks to short-circuit regulators in New York who have denied the planned pipeline a crucial permit, invoking their powers under the Clean Water Act to reject projects they deem a threat to water supplies and the environment. Other states and tribes have wielded the power to restrict a coal export terminal and hydropower project on the West Coast. Trump’s action is unlikely to jump-start widespread construction, because it’s up to Congress — not the president — to restrict states’ authority under the Clean Water Act. And the initiative isn’t expected to solve legal problems thwarting several pipelines in the Mid-Atlantic U.S., which hinge on inadequate Interior Department reviews — not formal objections from states. 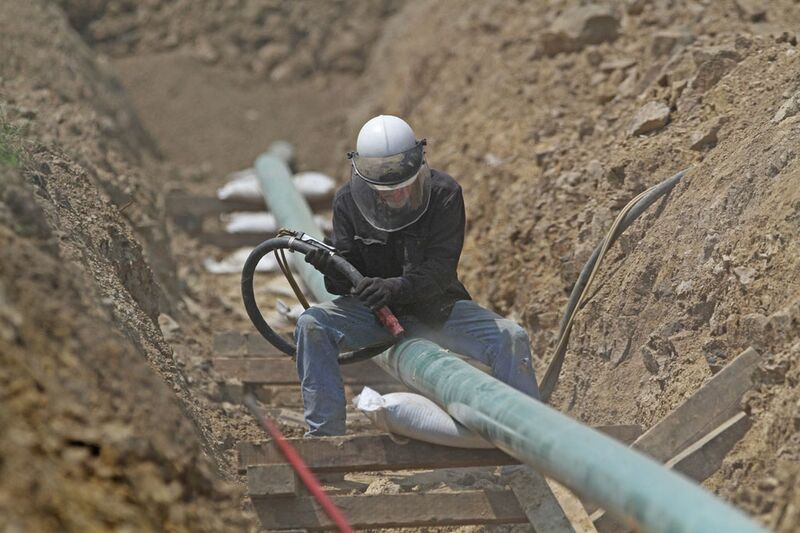 The denials have drawn scrutiny because of the state’s prime location, standing between a prolific shale gas formation and consumers throughout the Northeast U.S. who are hungry for it. Limited pipeline capacity and other legal constraints prompted the region to import natural gas from Russia last year.